Facial authentication seemed unattainable for older PCs, but a firmware upgrade changes that. Windows 10’s Windows Hello face authentication one of the most innovative conveniences in Windows 10—but only a handful of new PCs have the depth-sensing cameras needed to use it. 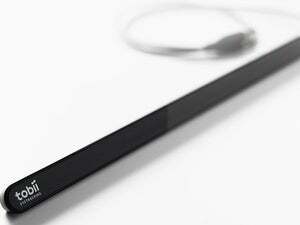 Tobii’s eyeX eye tracker is about to change all that. Tobii said Wednesday that a firmware update to its $129 peripheral allows the device to recognize your face and log you in, duplicating the functionality of cameras built into the Microsoft Surface Book and other devices. 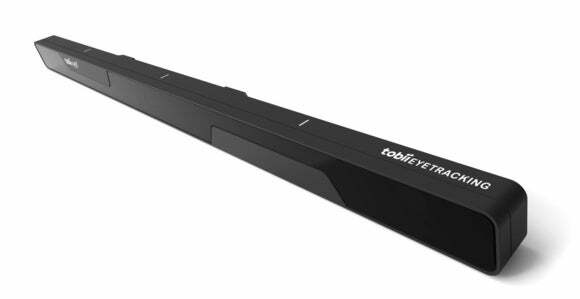 Tobii’s eyeX isn’t a dedicated biometric login device, but an “eye mouse” of sorts, a sensor bar that mounts on your laptop or monitor, bouncing light off your retinas to track your eyes as they move over the screen. Why this matters: We all despise typing in complicated passwords. Hello's facial recognition capability eliminates the hassle (and it can also use fingerprint readers), but the eyeX is the first third-party device that can bring that capability to older PCs PCWorld is currently testing the eyeX, and so far, the Hello experience with this third-party device appears to be every bit as solid as the cameras in the Surface Book or Surface Pro 4. The update was released Wednesday as part of version 2.0.3 of the TobiiX Controller Core firmware, which also reworks the eyeX software into a more consumer-friendly interface. 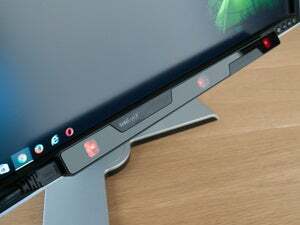 To test its performance, I set up the eyeX with a Lenovo Yoga 12, which runs Windows 10 but lacks a depth camera. 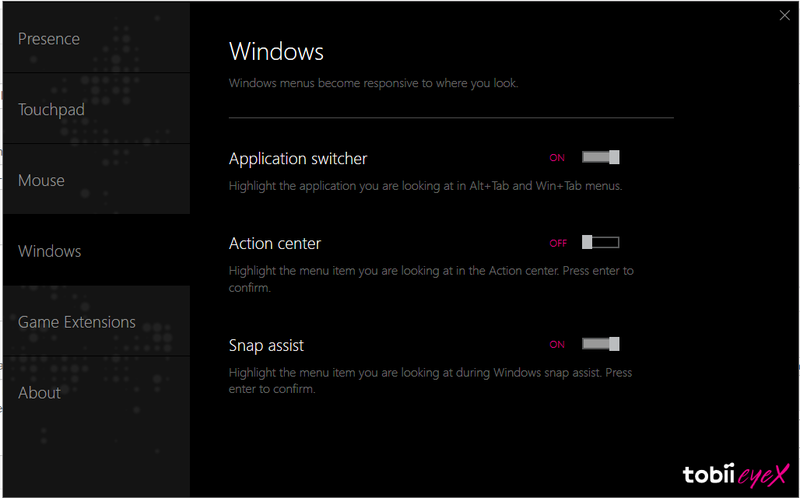 Tobii’s updates software for the eyeX eye tracker includes new Windows functions. I’ve used Windows Hello with a Surface Book and Surface Pro for several weeks. Trying Windows Hello via eyeX, I've noticed no difference in the ability of the camera to recognize me, with the same approximate latency of a second or so that the Surface Book’s camera requires. 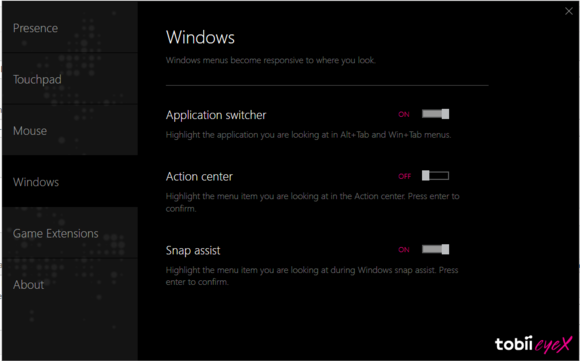 The new software also enables the eyeX camera to control other Windows 10 functions, including the application switcher, Action Center notifications, and even Snap Assist. Other improvements: You can look at a text box on a webpage (Google Chrome natively supports the eyeX eye tracker) and swipe down on your touchpad, and only the box that you’re looking at will shift. Right now, the eyeX is one of the few standalone peripherals that enables Windows Hello logins. The Intel/Creative RealSense device is still just a development kit. But the RealSense camera is essentially a development kit; the eyeX is a product—and one that just got a lot better.